Once you have a classic shape, you can execute in any way you please. 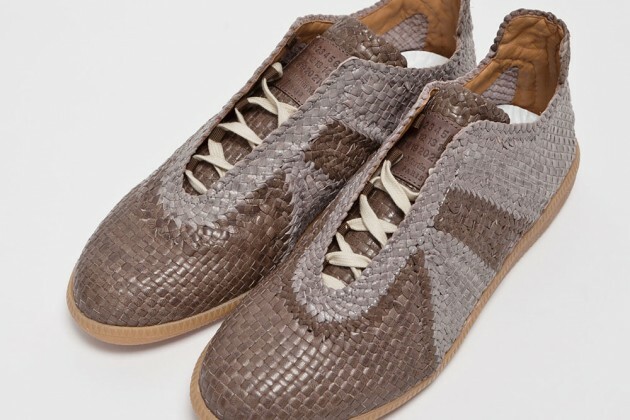 Hence the Replica Sneaker in Woven Grey from Maison Martin Margiela. The tightly woven leather strips in variations of warm greys are set onto a sturdy gum sole. 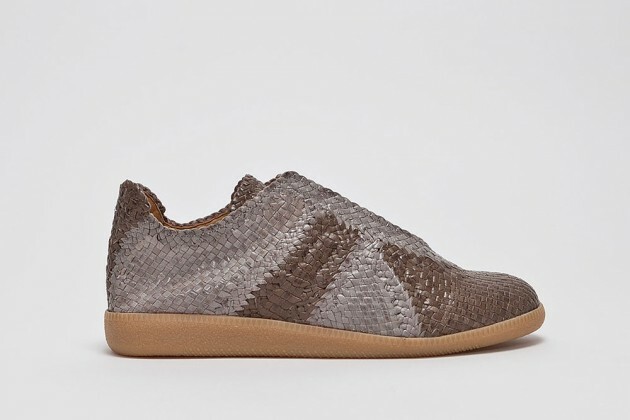 These come equipped with elastic on the tongue to make them easy to slip on and off. 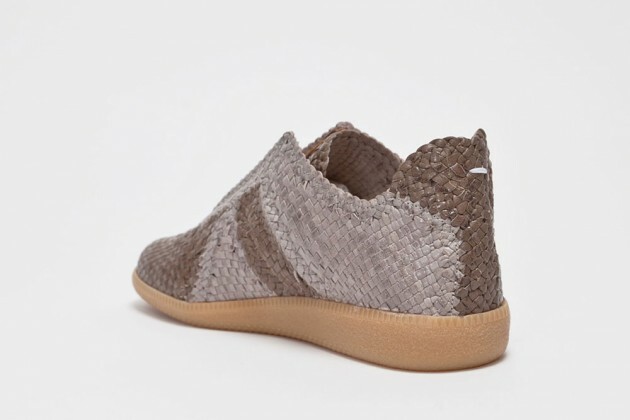 They're a decent Spring/Summer shoe that has a casual aesthetic with an Old World approach to craftsmanship. Available now at TresBien.